In this interview, Anil Kaul, CEO of Absolutdata, ravels about the important components of building sales technologies stack with AI and Machine Learning algorithms to help the enterprises become smarter, faster and agile with their approaches. Tell us about your role at Absolutdata and the team/technology you handle. Define the ‘State of AI-based Sales Transformation’ in 2018? How do you enable your customers to adapt to this state quickly? At present, the sales front-runners rate their enablement efficacy as average at best. Sales enablement effectiveness evidently lags from expectations. To deliver scalable sales enablement, sales leaders need to move to a scientific approach which would constantly help the salespersons to deliver results. Artificial Intelligence (AI) can bridge the performance deficit applicably. To drive transformation in sales, enterprises need to start building upon their sales intelligence stack to enable digital transformation and AI-based sales enablement. Building intelligence stack essentially means bringing in technologies for providing recommendations to salespeople extract information/intelligence from a wide variety of data sources in real time developing solutions that talk to each other. The important components of building sales intelligence stack are the AI and Machine Learning algorithms built into it which help the enterprises become smarter, faster and agile with their approaches. What are the core tenets of your NAVIK technology? How do you integrate this with CRM with other MA platforms for refined marketing analytics? The core tenet of our NAVIK technology is providing recommendations to users in real time, using as much data as is available in the organization. Often, the sales reps are exposed to a lot of information, to access and interpret and figure actions, all of it on their own. NAVIK technology does all of it and lets the salespeople focus on the ‘art’ of closing the deal. NAVIK technology is designed in a modular fashion, which can easily be modified, managed and consumed in isolation (plug and play). Besides through the modular structure, NAVIK technology allows integration with various data sources through connectors, e.g. connector for integrating Salesforce data in NAVIK SalesAI. Our technology integrates with all leading CRM and marketing automation systems and data sources that help Absolutdata propose a unique blend of offerings. What makes your platform different from other marketing and sales analytics currently available in B2B? What makes our platform different from other marketing and sales analytics solutions available for B2B is the fact that the technology embedded in our platform provides recommendations and action guidance to the users, and not just insights or mere information. The AI native platform is engineered around AI technology and algorithms that transform data into self-learning models which get refined as the data changes. The platform combines AI, technology, data, and analytics to serve as the intelligence stack for forward-thinking companies, designed to leverage and extend the power of AI across all the parts of an enterprise. The platform is fast and scalable, has delivered results after being deployed in multiple environments and settings. What is your guidebook to “Path to Sales Mastery”? Sales is a combination of science and art for which AI is the “science” side of things, providing actionable insights. AI-enhanced sales processes can go a long way in streamlining salesperson’s efforts. With machines taking care of the analytical work and the ‘science’ side of things, salespeople can focus their efforts towards applying their soft selling skills and intelligence for taking interactions with prospects to a whole new level. 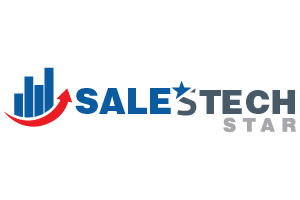 Sales professionals who can leverage cutting-edge AI based sales technologies and own skills can become a Sales Superstar. What are your B2B marketing and sales goals and how do you leverage AI/machine learning to achieve your goals? We are currently focused towards building and improving our sales intelligence stack at Absolutdata and leveraging NAVIK technology for the same. Given the current shift to AI and customer intelligence, what skills and knowledge do B2B teams need to close deals faster? How could AI in sales and marketing further disrupt SaaS platforms? How do you prepare for the disruptive sales ecosystem? AI will further disrupt SaaS platforms by including a huge volume of structured and unstructured data. The effectiveness of AI in SaaS applications is driven by the in-built machine learning system that works well by feeding into large and growing datasets. The next level of AI-enabled SaaS applications will be the speed of capturing trends and processing huge data sets to deliver actionable insights, guidance, and recommendations to the users. AI-enabled SaaS platforms should be largely developed around self-learning modules which keeps on optimizing the solutions over time from data and past actions. Thank you, Anil, for chatting with us about the role of AI in sales and marketing in SaaS platforms.